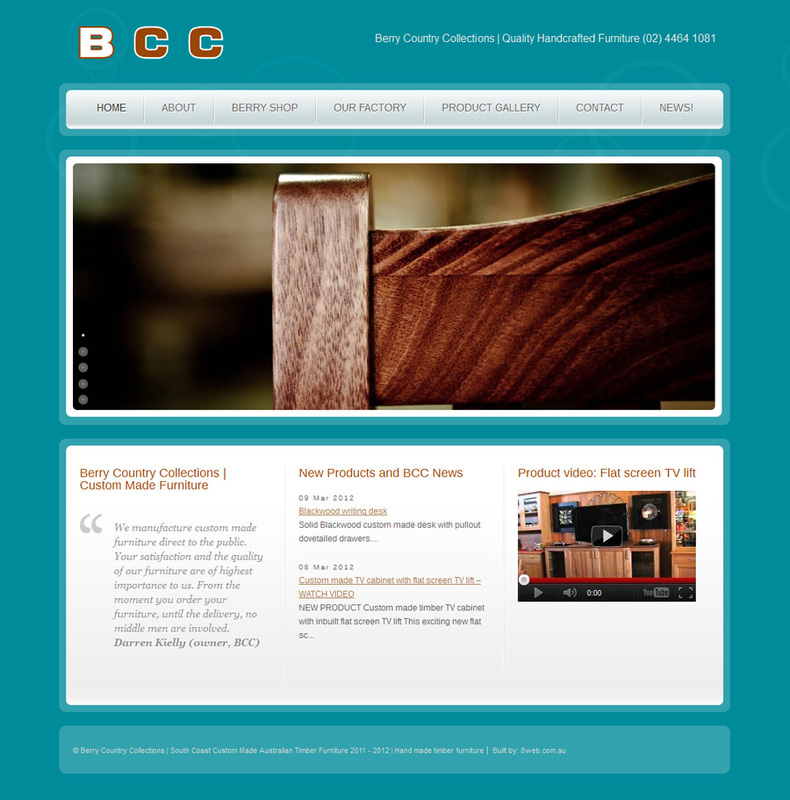 Berry Country Collections manufactures custom made furniture direct to the public in South Nowra. Darren, the owner of the business, contracted 8WEB to redesign his website to feature the careful handcrafted processes of the high quality furniture. We organised a photoshoot at the factory itself as well as the display shop in Berry in order to feature his products in a stylish and elegant manner.